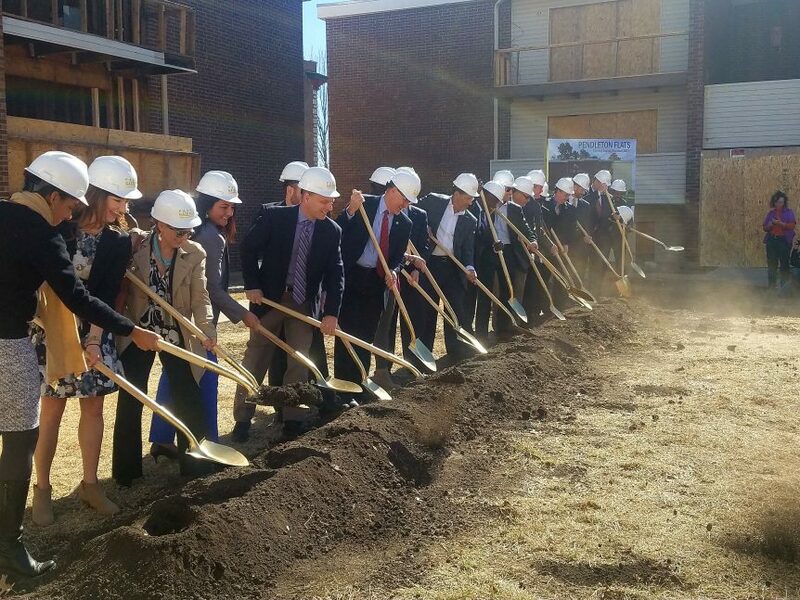 On February 16, 2017, attendees enjoyed higher than normal temperatures and a cloud-free day as they gathered for an open house and groundbreaking ceremony at the newly renovated Northeast Community Center (NECC) and the Pendleton Flats apartments. The projects showcase the first year of implementation of the recently awarded Department of Housing and Urban Development (HUD) Choice Neighborhood grant intended to transform the Paseo Gateway area of northeast Kansas City. Attendees included City Manager Troy Schulte, Councilmen Scott Wagner, Quinton Lucas, and Jermaine Reed. Numerous community members, and representatives from HUD, Local Initiatives Support Corporation (LISC) the Housing Authority of Kansas City, Missouri, United Way of Greater Kansas City, Brinshore Development LLC, Rosemann & Associates, P.C., and 4Sight Construction Group were also present. Neighborhood revitalization is the key criteria of the $30 million HUD grant. A sense of dignity, security and prosperity were reoccurring themes in the presentations heard at the event. The projects bring access to affordable housing and supportive services to members of the historic northeast. Construction of Pendleton Flats will be completed by the summer of 2017.